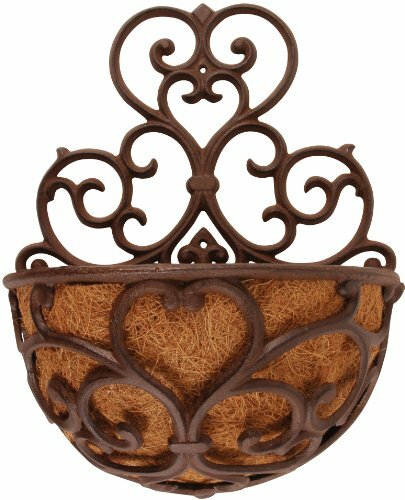 Adorn your patio or home with this Victorian cast iron wall hung planter with elegant scroll work design. The half round design sits flush with the wall and the scroll design complements any decor. The coconut fibre liner holds in moisture to eliminate the plant drying out. Planter measures 11.8 -inch by 14.2-inch by 7.1-inch. If you have any questions about this product by Esschert Design USA, contact us by completing and submitting the form below. If you are looking for a specif part number, please include it with your message.